Home Business Insurance HealthcareInsurance for Home Care Businesses, Caregivers and PCAs. Insurance for Home Care Businesses, Caregivers and PCAs. 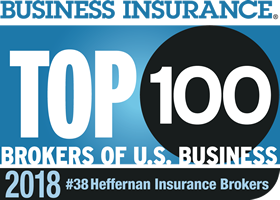 Heffernan Insurance Brokers has developed exclusive insurance programs dedicated to home care businesses, covering all states and agency sizes. We are able to provide a quick and easy way to get your home care business insurance by making sure you have all the necessary coverages in place at a low, competitive rate without the long application process. Having the right home care business insurance means you can continue to provide excellent care to your clients while being assured that you’re protected for the major liability exposures your business faces. You and your team of caregivers do important work, and your impact on the lives of your clients go far beyond your homemaking and support functions--your emotional support and companionship are critical to their wellbeing and happiness. We understand that working with elderly, ill, or otherwise frail adults can expose you and your business to liabilities. That's why you deserve to have a comprehensive coverage that can protect you and your employees so you can do your job with confidence. Get Started with Your Home Care Insurance! The various aspects of assisting with activities of daily living in the home presents agencies and individuals with unique liability exposures. Our business insurance experts have built custom-tailored insurance programs that will protect you and your agency from these risks and liabilities, including home care liability insurance and home care workers' compensation. You’ll have the peace of mind that your business is covered by one of the nation’s largest insurance brokers. 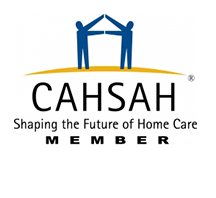 As proud partners of CAHSAH and the Home Care Association of America, we ensure we are closely connected with the challenging demands home care business owners and care providers face. Our experience in the home care business insurance industry will be apparent when you speak with our expert insurance brokers. 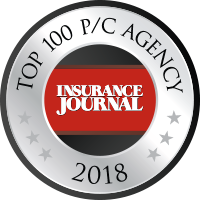 Founded in 1988 in Walnut Creek, California, our coast-to-coast success has grown parallel with our clients’ success as we work closely with them to protect their valuable assets and businesses. Whether you’re starting a home care agency or simply looking for a more experienced insurance broker, Heffernan Insurance Brokers has proved time and time again that we’re the top home care insurance provider. Workers' compensation for home care workers can have the greatest financial impact on your business expenses. 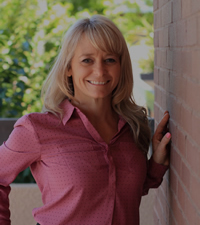 Our home care aide insurance specialist can help walk you through the coverage and premium of home care workers' comp coverage and advise you on what can be done to minimize costs and risks. A number of factors influence the cost of a home care insurance package, including your agency’s annual clients and annual employees. Workers' compensation is based on a percentage of your payroll. However, insurance rates for home care agencies may vary from state to state so please get in touch with us for a free rate quote. For more information on home care insurance rates, watch our short video. If you’re starting a home care business, you should begin the insurance application process at least 30 days prior to working with clients. Take the next step to getting home care insurance coverage. 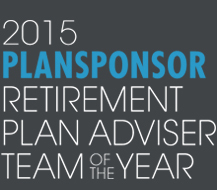 Contact Heffernan Insurance Brokers today! How Will New Medicare Home Care Allowances Impact the Industry?